January 3, 2014 by Ken Ward Jr. 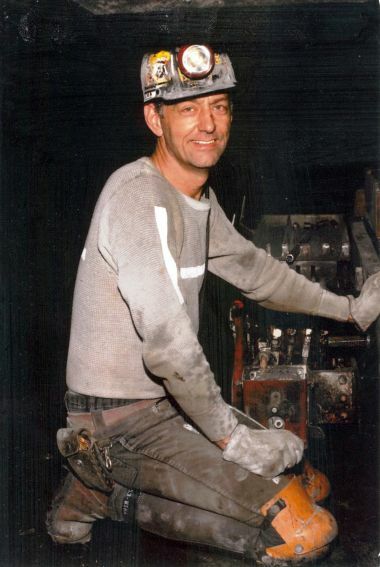 Longtime miner Gary Fox underground with the roof bolting machine he operated, driving rods into the mine’s ceiling to prevent a cave-in. Courtesy of Mary Fox and the Center for Public Integrity. Just out today is a ruling by the 4th U.S. Circuit Court of Appeals in the case of Gary Fox, a deceased coal miner whose black lung benefits claim has been at the heart of a controversy over the handling of black lung cases by the Charleston law firm Jackson Kelly. Readers will recall the comprehensive stories by Chris Hamby and the Center for Public Integrity, which we’ve discussed on this blog before. Fox’s widow, Mary, is pursuing the case because her husband was denied black lung benefits after Jackson Kelley lawyers withheld reports from two pathologists who had concluded Fox did indeed have black lung. While Elk Run’s conduct over the course of this litigation warrants nothing approaching judicial approbation, we are unable to say that it rose to the level of fraud on the court. Although we are disappointed that the Court did not conclude that Jackson Kelly’s conduct rose to the level of ‘fraud upon the court,’ a heightened legal standard for reopening older cases, we note that the Court did not endorse the firm’s conduct nor did it consider or resolve the more important question as to whether the firm committed common law fraud. We are surprised that the Court failed to appreciate the difficulty that Mr. Fox and so many other miners have in getting competent counsel in federal black lung claims to protect them from litigation tactics that undermine the pursuit of the truth. Jackson Kelly is pleased that the Fourth Circuit Court of Appeals has ruled in favor of our client, and held that our client had no obligation to turn over reports from non-testifying consultants. As the Court noted, under our legal system, parties on all sides of a dispute are entitled to effective representation. As the Court acknowledged, the federal black lung program is intended to be adversarial. We have always believed that the actions of our attorneys were lawful. For nearly 200 years, Jackson Kelly has represented clients across West Virginia and the nation, and we have always been known as strong and able advocates and we believe our conduct in this case was consistent with our duty to represent our client. Proof once again that coal companies control the courts and politics of this state and Nation. I am ashamed to be a Wv’ian at this moment. I weep for the future of our miners and their families. One more example of the way “justice” goes to those who can hire the best lawyers. I’m not very familiar with the program.